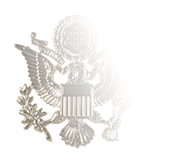 United States Navy, Coast Guard, and Marine Corps uniform regulations call for officers to wear the same size rank insignia on both shirt collars and Garrison Caps. 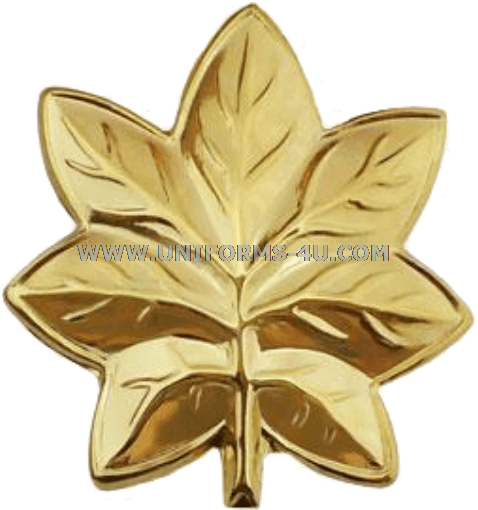 For Lieutenant Commanders in the Navy and Coast Guard and Majors in the Marines, the insignia is a gold oak leaf (this is also used for Majors in the Air Force and Army, but in a different size and not on shirt collars). Garrison Caps were first used by American military personnel during World War I as an alternative to the more cumbersome service and campaign hats worn by Army soldiers. 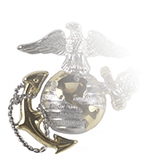 Designated as “overseas caps,” they took up almost no storage space and were essentially damage-proof in comparison to the somewhat fragile pieces of headgear they replaced. 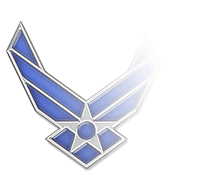 In pre-World War II Navy, Garrison Caps were authorized as optional wear items for Officers (Commissioned and Warrant) and CPOs serving in Naval Aviation roles, but in February 1943 the Garrison Cap was authorized for all Navy personnel who wore the peaked cap, and was approved not only for all working uniforms, but also both blue and white Service Uniforms. Today, the Garrison Cap is worn with a variety of uniforms in the three services. 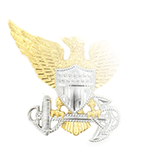 In the Navy, for instance, the black version may be worn with the Service Dress Uniform (SDU) if the black relax fit jacket and/or black V-neck sweater are worn in lieu of the standard SDU coat, while the khaki Garrison Cap is typically worn by Navy Lieutenant Commanders with the Service Khaki and Navy coveralls. 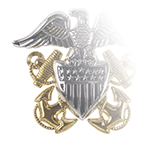 If you are purchasing this cap rank device, we encourage you to visit our Web pages dedicated to Navy Garrison Caps (black or khaki), USMC male and female Garrison Caps, and the Coast Guard serge blue Garrison Cap. 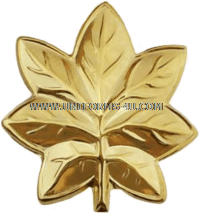 You may also wish to pick up the Lieutenant Commander / Major collar grade insignia.